The order of your options can influence your customer’s satisfaction. 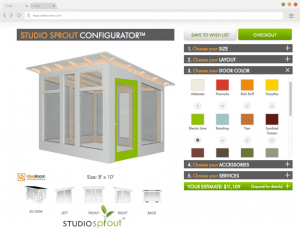 I recently read some research that was done on how consumers respond to the order of product options presented in a configurator. Intuitively, you might assume that organizing your product configurator to ask the most substantial questions first and then narrow down the details. For example, if you are configuring a building you might ask about building size and layout first and then work your way toward minor options like siding, trim, etc. However, research suggests you may want to order your options to ease your way into more complex decisions. 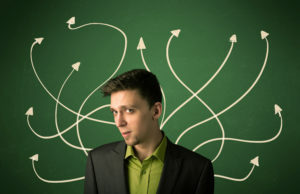 "When attributes with relatively few options follow attributes with relatively many options, people appear to be mentally depleted and are more likely to accept default options than when the sequence of attributes is reversed"
"Furthermore, starting decision-making sequences with relatively simple decisions (i.e., fewer alternatives) followed by relatively complex decisions (i.e., more alternatives) leads to higher overall satisfaction with the product..."
"Satisfaction and price paid in studies were not correlated"
We, at IdeaRoom, almost always recommend that you start with a fully configured product and present questions only to alter that configuration. This makes it possible for the consumer to find their perfect product at any step. But even in this approach there is a natural sequence to addressing questions based on how they are organized on the screen. Although the options can be changed in any order, there is a natural order based on how they are presented. I like to think about this research as suggesting that consumers enjoy early rewards and easy wins. Early rewards engage your visitors and better prepare them for the more thought intensive choices.